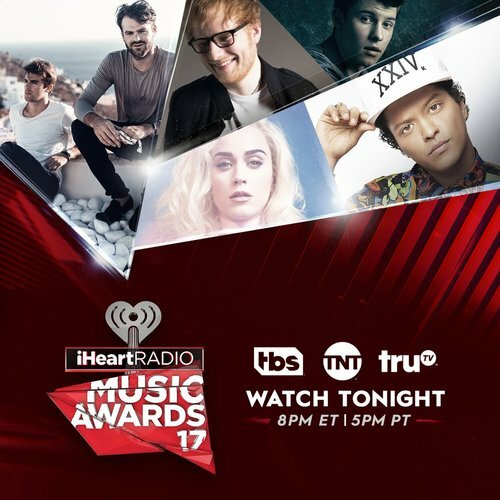 They are on right now... on my TV... and should be on yours too. What else would you be watching? #Badgers Koenig said he didn't play great in second half. Noted two airballs -- four in last two games. He was serious. "I couldn't be more proud of the group of 17 young men that stuck together, circled the wagons and had each other's backs." 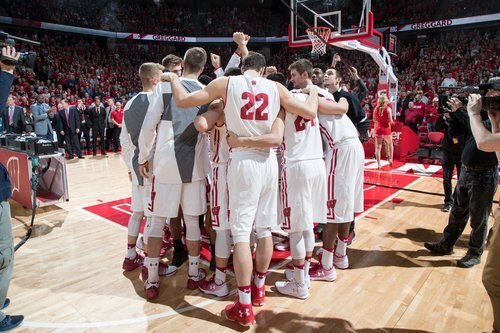 Wisconsin has won at least 12 Big Ten games eight straight seasons, the B1G's longest active streak. 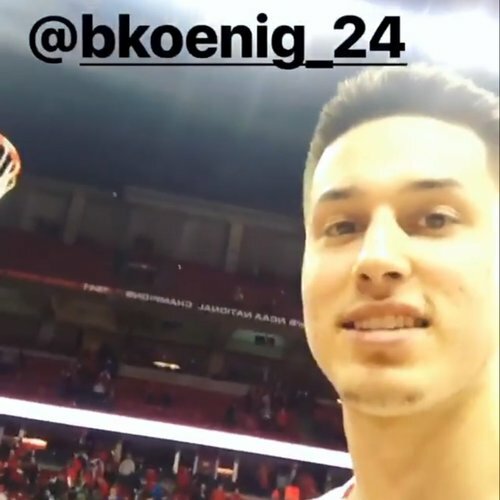 Bronson Koenig: Shooters shoot, and that's what I did. Eventually they went in. 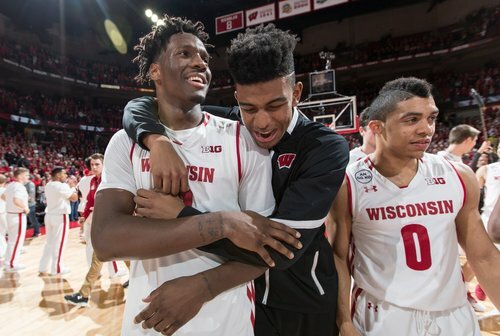 Tonight's Senior Day video and thank you messages from @SenseiSwat33 , @NIGEL_HAYES , @BronsonK_24 & @ZShowbball333 . MICH up by 36 late vs. NEB. 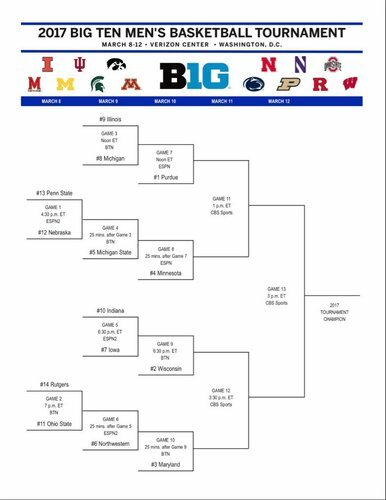 That means #Badgers get IU-Iowa winner in quarters. Crean or Fran. Who you want, tweeps? I will be at the Verizon Center for the Thursday games so I'll be covering IU and Iowa. Can't wait. Final version of #Badgers story is filed. Will tweet out link from home. 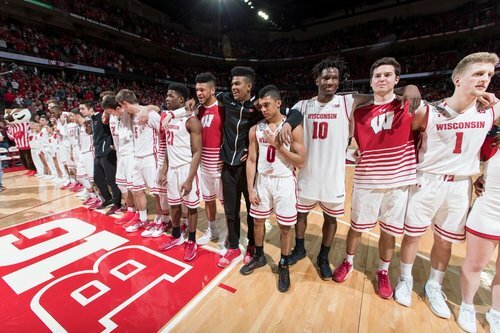 Mom on #Badgers ' victory: "I am at a loss for words. I have no clue how they did it but I loved it." ???? 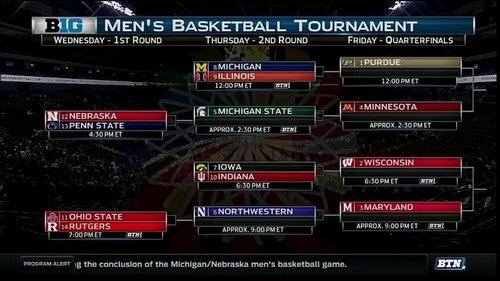 Time for the March Madness. #Badgers Hayes vs. MINN this season: 16.5 ppg (14-28 shooting), 5.5 rpg, 2.0 apg. #Badgers Koenig took 13 three-point attempts vs. MINN in two games. He made 8 for 61.5%. 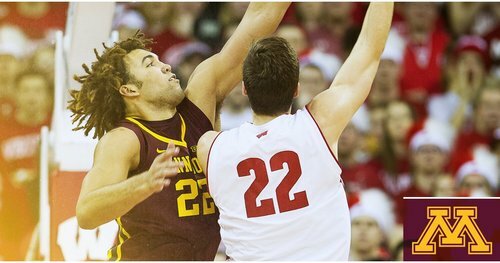 MINN shot 25-54 (46.3%) in first half of 2 games vs. #Badgers . The 2nd half/OT: 21 of 62 (33.9%).